THIS UPCOMING SATURDAY (November 19th), my sister Laura and I will have TWO consecutive book signing events! The first event, the Floral Family Fun Fair, is at Floral Street Elementary School. 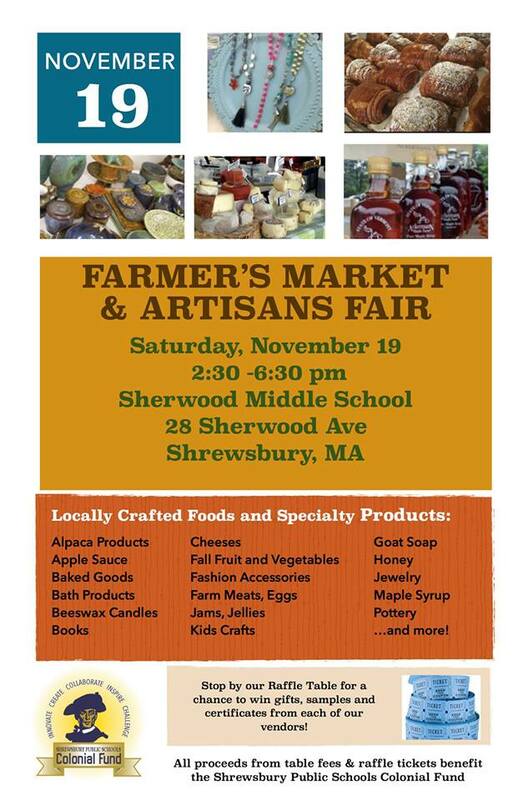 The second event, the 2nd Annual Farmer’s Market & Artisans Fair, is at Sherwood Middle School. During these events, Laura will introduce her DEBUT novel “Two Worlds: A novel of friends and foes from strange places”! Looking for holiday gifts? Our books would make a great present! The fair is a fun filled family event with food & games, a silent auction, a brown bag raffle & vendors with Holiday Gift items. This event is a fundraising event organized by Floral Street School PTO. A great place to get fresh foods for your Thanksgiving dinner and start your Holiday Shopping! 40-50 local artisans and farmers will be selling their handmade crafts and foods. You will find cheeses, breads, meats, desserts, maple syrup, honey, pottery, jewelry, handcrafted items and much more! 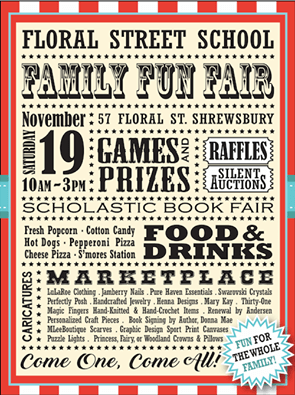 This event benefits the Shrewsbury Public Schools Colonial Fund. The Colonial Fund supports high impact innovations and technology which allows us to bring new ideas to our classrooms quickly.